Michael Harris started trading stocks and commodity and currency futures 25 years ago. He is also the developer of the first commercial software for identifying parameter-less patterns in price action 17 years ago. In the last 7 years he has worked on the development of DLPAL, a software program that can be used to identify short-term anomalies in market data for use with fixed and machine learning models. Michael has developed unique technical indicators for the analysis of price action and identification of market regimes. Michael has worked in the past for a number of different financial firms, where he developed a bond portfolio optimization program and strategies for trading commodities and equities. He has also worked as a long/short equity and ETF trader for a hedge fund. Michael is a bestselling author. His first book “Short-Term Trading with Price Patterns” was published in 1999. His books “Stock Trading Techniques with Price Patterns” and “Profitability and Systematic Trading” were published in 2000 and 2008, respectively. His most recent book, “Fooled by Technical Analysis: The perils of charting, backtesting and data-mining bias” was published in 2015. He has also published many articles in trading magazines as an invited author. Michael holds two Masters Degrees, one in Mechanical Engineering with emphasis in control systems and optimization and another in Operations Research with emphasis in forecasting and financial engineering. Update on August 1, 2018. I am interested in providing top quality technical analysis research and developing trading strategies for hedge funds using the software I have developed and possibly in conjunction with third party software. 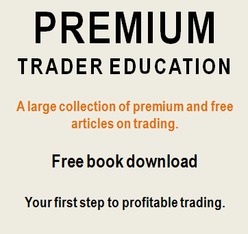 Click here for a portfolio of strategies and articles. You may contact me and we can arrange to talk on Skype initially. Please in your email include the company name, your full name, telephone number and company website address. I will not be responding to emails that do not contain the required information. Please use the contact form to introduce yourself and/or your company and provide a brief description of the project.